We offer full service USA vehicle purchase services, specializing on car imports to Europe, Middle East, China, Australia and other destinations around the world with offices in Germany and the USA. Get your dream car or motorcycle with us on fixed terms by either using our trusted escrow service or buy it on your own and we’ll handle the logistic part for you by shipping the car to your home port or door. We can also search for the right vehicle for your needs and buy it directly from the owners, banks, insurance companies, foreclosures, police auctions, eBay and merchant direct auctions in Germany, USA & Canada for you at a flat rate. Once we have located a suitable vehicle or motorcycle for you, we will contact you shortly. After consulting with you, we then make an offer at the auction for you or negotiate for the best price with dealers or private sellers. Our convenient vehicle transport & shipping services will make the car buying process easy and fast. We can arrange for shipping on every car we buy anywhere in the USA. Daily departures from Miami, Houston, NY, Los Angeles & San Francisco. We arrange for shipping anywhere on every car we buy from private sellers, merchants & auctions. Special Flat Rate Direct Buy / Purchase $500. We’ll bid on your behalf for immediate car buying or reservations. Flat rate: $350 / Local assessment + purchase: $850. Vehicle inspections start at $199. We also offer TÜV / Homologation, Retrofitting & Compliance in Berlin & Bremen for all vehicle brands. Found the car of your dreams? We can arrange to import and deliver your vehicle from the USA to China or anywhere in the world. As an authorized vehicle dealer and exporter, we will help our clients buying and importing automobiles to Dubai and everywhere in the globe. We can assist you with every step of the buying process, and arrange to ship your car from the US or any location worldwide to Germany. Berlin Motors is a licensed car dealer and exporter assisting customers buying & importing vehicles to Holland and all over the world. You have found your dream car and would like to place a bid on a vehicle on various auction sites such as eBay, uShip, dealers or private individuals. No problem. Click “GET A QUOTE” anywhere on our website. Within a few hours we will contact you and help you simplify the procedure and terms of payment for an eBay auction or private sellers and send you a complete quote for the desired vehicle including our commission, transport import duties and TÜV compliance when applicable. Upon acceptance, we require your consent via email or fax and a deposit to secure your vehicle to our German or US account (We also accept PayPal, debit or credit card). Berlin Motors buys or reserves the vehicle at the auction. We have over 263 successful sales transactions on eBay with 100% positive feedback. Every day, we buy several vehicles on the US market for individuals and car dealers in Germany. We buy vehicles in United States Dealers and Auctions for you at a pre-agreed flat rate. We also offer full-service vehicle transport & shipping services to many worldwide destinations. Free Quotes – Once you find a vehicle you’re interested in, contact us for a free estimate with no obligation to the seller. Car History Verification – We check the seller and the vehicle using the vehicle identification number and provide you with a free CarFax or Auto Check History Report. Background Report Help – Berlin Motors will go through the existing Auto Check or History Report with you, helping you buy with confidence. Vehicle Inspection – We can request a US Local inspection on your behalf, or you can take advantage of our VIP Local Car Check Service. Stress-free Car Buying – We take over the complete purchase process for you from A-Z, offering professional escrow services, as well as vehicle transport & shipping services. 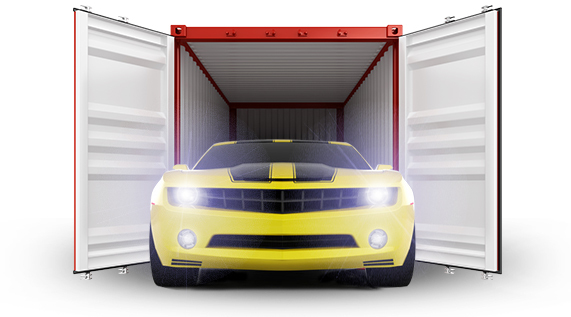 Easy Car Shipping – We arrange inland transport within the US to the nearest port. Again, we do not leave anything to chance. We are a licensed and insured transportation broker in the states, transporting only with selected shippers that meet our high standards. Photo Documentation – You’ll receive pictures of the vehicle at the terminal at receiving, showing the vehicle’s condition upon arrival. 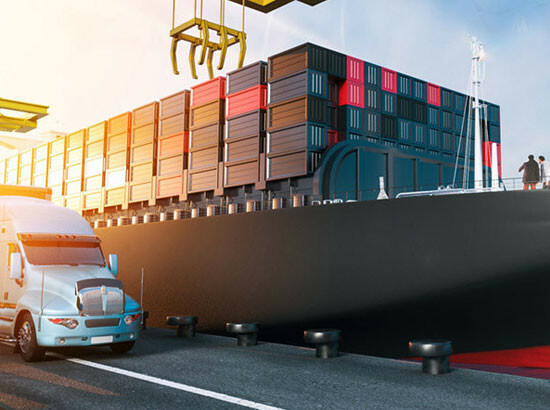 Enclosed Container Shipping – We can coordinate the loading of the vehicle into a shipping container for worldwide transport. Online Tracking – Keep track of your vehicle once purchased. You will receive a tracking number to keep track of your vehicle when shipped. International Vehicle Shipping – We coordinate unloading and customs clearance at destination. In Germany, for example, all services are performed by the same company, no agent or other representatives to deal with. Door to Door Vehicle Shipping – We’ll coordinate the transport within Germany and Europe to your door if door service is requested. Vehicle Homologation – We provide, on request, the conversion for MOT full acceptance including all necessary reports. (Also H indicator). German Vehicle Transport & Shipping Services – We can provide additional transport or transfer within Germany. Alternatively, you can pick up the vehicle at our offices in Berlin. Select one of our convenient service options. We also deal with individual requests for transport, contract processing, eBay settlement or even contact the seller on your behalf here in the United States. Found the vehicle of your dreams or have a car buying and shipping question? We offer expert Vehicle Transport & Shipping Services. Contact us for a free no obligation quote. You’ll get a complete quote or answer to any questions within 24 hours. Save thousands of dollars / euros and get your dream car with the guaranteed lowest rates to Germany or any other destination worldwide. Expert Vehicle Transport & Shipping Services. Berlin Motors is available 7 days a week – 24 hours a day. Contact us today. Buy directly from a state-licensed & insured US dealer / transportation broker headquartered in Germany & USA – not through an intermediary without any security or insurance. Payment of all orders directly to Germany or the USA accepted in Euro or US currency.